There were certainly several reasons why Carl Nielsen often and willingly conducted in Gothenburg. He needed the money. He also wanted to show his ability as a conductor – and not just of his own works. Besides, in that period he lived most of the time separated from his family, and there were limits to how often and how long he could stay with his Danish friends. In the autumn of 1918 and again during the 1921-22 season he was engaged as a deputy for Wilhelm Stenhammar, who was one of the Gothenburg orchestra’s two regular conductors. This regular engagement came about on Nielsen’s initiative, after Stenhammar had mentioned that he needed a break. Nielsen also visited the orchestra regularly as a guest conductor in between these longer engagements. Works of his own were regularly included in these programmes; the major compositions could only be played at the symphony concerts, but works such as the overture to “Masquerade” or extracts from “Aladdin” could also be performed at the orchestra’s Popular Concerts. 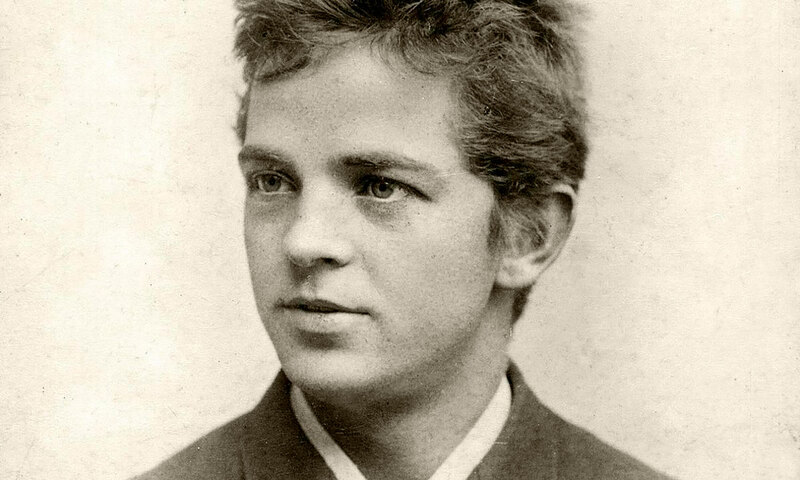 At the beginning of 1917 Johannes Nielsen, artistic director of the Royal Theatre, had approached Carl Nielsen to ask him to compose music for a new production of Adam Oehlenschläger’s great closet drama “Aladdin” to be staged by Johannes Poulsen (1881-1938). He accepted reluctantly, only to find out afterwards that Poulsen had included the orchestra pit in the set. The orchestra would have to play instead under the huge staircase that was the main element of the scenery. Furthermore, when Poulsen cut a large part of the music at the final rehearsals and made alterations in Nielsen’s carefully considered sequence of dances, it was too much for the composer. After the dress rehearsal, he demanded that his name be removed from the poster and the programme. Therefore the production, which was played over two evenings, was first shown on 15 and 22 February without mention of the composer. Instead Nielsen put together an orchestral suite which is still played in its totality or in parts. He also organised in 1925 a concert performance of almost the whole score (26 out of 31 numbers) at the Danish Concert Association. Those few letters from the period of crisis in the Nielsen marriage which are publicly available show clearly that both parties were miserable, and that Carl tried in various ways to make things up. Thus in 1918 he bought a summer house in Skagen called Finis Terrae. His family had spent earlier holidays in Skagen, and Carl perhaps believed that these idyllic times could be restored. Moreover, his daughters were about to leave the nest. His elder daughter Irmelin had studied musical theory with her father, and from the autumn of 1912 she studied Dalcroze rhythmics first in Hellerau, Germany, and later in Geneva, when the school moved to a neutral country because of the war. Before going to Hellerau Irmelin had fallen in love with Nielsen’s pupil Ove Scavenius (1884-1973). He returned her feelings, but the relationship did not survive physical sepa­ration and Carl Nielsen’s passive opposition. Instead she was married on 14 December 1919 to the medical doctor Eggert Møller (1893-1978), who was later appointed professor at the University of Copenhagen and director of the National Hospital’s general clinic for the public. Anne Marie, called Søs, had followed in her mother’s footsteps and attended the Copenhagen Academy of Arts, from which she graduated in 1916 after being forced to spend two years at a boarding school in England (because her parents had discovered that she was in love with a fellow-student two years older than herself). She was later awarded the Academy’s little gold medal for a painting that she had kept secret from her parents until the day it was to be handed in. She was married in 1918 to the Hungarian violinist Emil Telmányi (1892-1988). Telmányi first visited Copenhagen in 1912 together with the Polish pianist Ignaz Friedman. He became acquainted with Carl Nielsen’s A major violin sonata through music publisher Alfred Wilhelm Hansen. The following summer he was a guest of Carl Nielsen, who played his second violin sonata for him together with Henrik Knudsen. In the following years, Telmányi’s interest concentrated increasingly on Carl Nielsen’s daughter Anne Marie, which clearly worried Nielsen. At any rate, one of the family’s resolute friends, opera singer Elisabeth Dons (1864-1942), had to intervene on the young people’s behalf before he gave them permission to marry. The marriage took place on 6 February 1918, and Carl Nielsen’s wedding present was the dedication of his recently completed orchestral piece Pan and Syrinx. Telmányi was later to make a decisive contribution to the promotion of Nielsen’s music, first of all as a violinist but later increasingly as a conductor, and finally as a collaborator on the revised versions of some of Nielsen’s works. The two solo pieces Prelude and Themewith Variations (1923) and Preludio e Presto (1928) were both composed for Telmányi. The brother of the two Nielsen sisters, Hans Børge, had been handicapped since the age of four due to the after-effects of meningitis, and he spent most of his life away from his family after normal schooling had proved impossible. The family saw him mostly during holidays and at celebrations, as well as family events such as major birthdays and important first performances. When he died in 1956 he was living at Taps, 10 kilometres south of Kolding. Even before completing the stage music for Helge Rode’s festival play “The Mother,” with which the Royal Theatre was to celebrate the reunion of Southern Jutland with Denmark, Carl Nielsen started thinking about a new symphony. The initial phase of work took place in the autumn of 1920, partly at Damgaard and partly at Villa Højbo in Tibberup near Humlebæk in the north of Zealand. There the Michaelsen family had fitted up a study for their musician friends, which Nielsen made great use of after his separation from his wife. Yet another occasional piece was to disturb the composition of the fifth symphony. This was the choral cantata Springtime on Funen, a commissioned work which had to be fitted in after Nielsen had completed the first part of the symphony in March 1921. This Danish cantata classic originated in a competition held by the Danish Choir Association for a text about Danish nature, history or folk life which Carl Nielsen was to set to music. The winner was Aage Berntsen (1885-1952), a medical doctor and writer who was the son of educationalist Klaus Berntsen. The latter had been instrumental in bringing Carl to study in Copenhagen. Aage Berntsen had submitted two texts to the competition (the other one was about the murder of St Canute), so it was lucky that the winning alternative was so close to Carl Nielsen’s background on Funen. Then, in July 1922, a thousand choristers gathered in Odense and on 8 July, at a concert in the covered market under Georg Høeberg’s authoritative direction, the lyrical humoresque about spring on Funen was performed for the first time. The acoustics were not ideal. Nevertheless the piece aroused great enthusiasm in the local press. After the first performance of Springtime on Funen, a heart attack forced Carl Nielsen to take to his bed at Damgaard. For a long time all he could do was knit and read. Gradually, however, he became well enough to tinker with some Danish songs. After Telmányi’s arrival he started working with him on a revision of the “Masquerade” score in preparation for a projected production in Antwerp (which by the way came to nothing). Anne Marie Carl-Nielsen had visited him briefly at Damgaard immediately after his heart attack, but returned soon after to Copenhagen and was worried about him – a worry that brought them closer to each other. By the end of the year they were reconciled. They celebrated their reunion with a one week trip to Berlin at the beginning of January 1923. The family was again united, and this proved to be lasting.